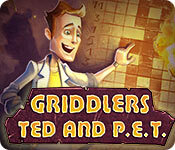 PC Games > Puzzle Games > Griddlers: Ted and P.E.T. Head into the past with brave time travelers! This time, the tireless and handsome scientist Ted and his clever robot P.E.T. find themselves in a prehistoric age! 120 unique levels, 6 locations and more than 10 hours of gameplay. Choose a training level based on your skills and complete only the tutorial you really need. 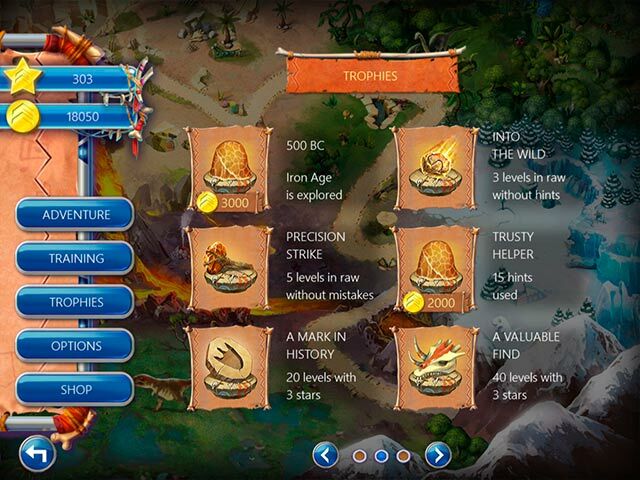 Complete special tasks and get trophies to make the game even more fun. 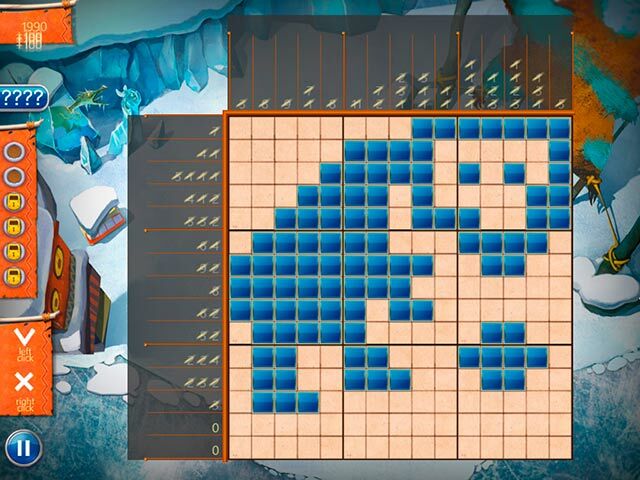 Solving griddlers is now easy and fun! Griddlers: Ted and P.E.T. is rated 2.9 out of 5 by 12. Rated 1 out of 5 by pennmom36 from Griddlers; Ted and P.E.T. I have never played a griddler game that was so uninteresting ever! 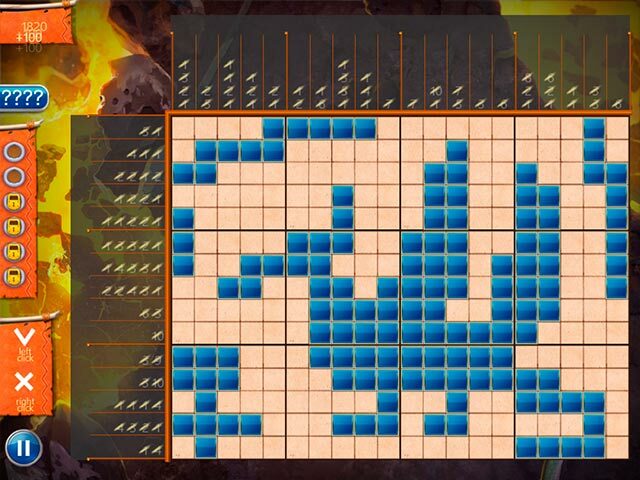 Who wants to spend a fair amount of time solving a puzzle that just makes random shapes? If they are supposed to be an image of something, label it so I can take another look at it and say, oh yeah, now I get it! To make matters worse, the puzzles are very tiny, not the grid size itself, but the entire puzzle can fit inside the palm of your hand. There aren't even interesting colors, just a flat green ugly shade. I guess I just got spoiled by my favorite griddlers, Fantasy Mosaics, so if this is the first griddler game you've played, don't let this game spoil it for you, play Fantasy Mosaics (currently 9 available and a variation of several colors are introduced from 4-9) Even World Mosaics are great griddler games. No way can I recommend this game. Rated 1 out of 5 by ewhull80 from A Mac game, but no way to right click with single button mouse! If you are designing a game for macs, many of which have a single button mouse, maybe design a way to right click! Can the handsome scientist Ted and his clever robot P.E.T. uncover the mysteries of the past? Can you?